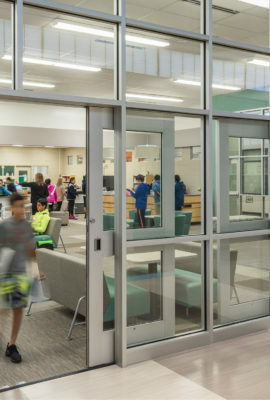 The new Portsmouth Junior/Senior High School provides students with 21st century learning opportunities within a unified and cost-effective building. 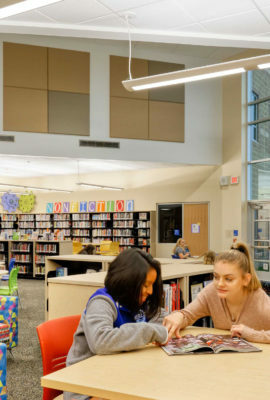 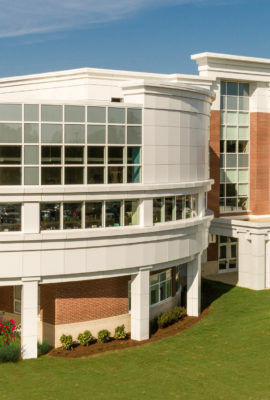 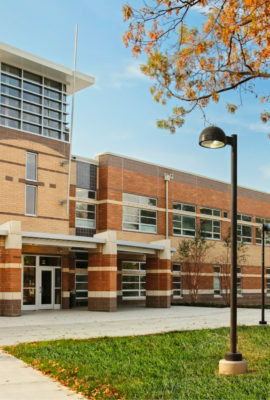 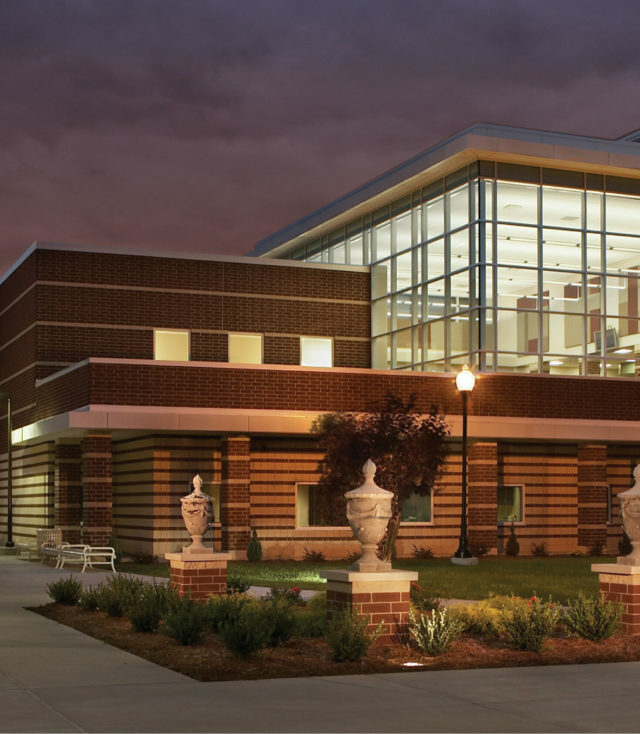 Envisioned as a cutting-edge educational facility, Portsmouth Junior/Senior High School supports the district’s mission to provide the highest quality of education for all students. 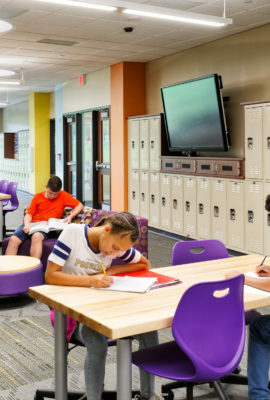 To accomplish this, the school supports differentiated learning spaces for small and large group instruction, video production and outdoor learning. 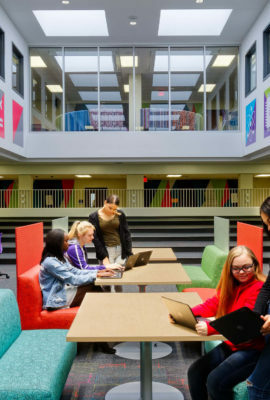 A highlight of the design is the second-story media center where integrated technology and extensive daylighting make it a favorite destination for student research and collaboration. 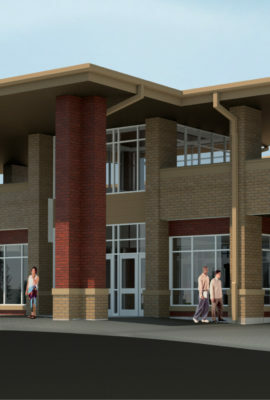 At the heart of the school is the second-story media center. 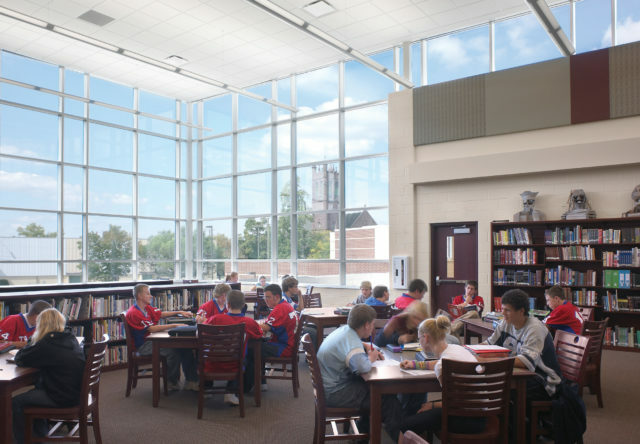 Integrated technology and the extensive use of glass make it a favorite destination for student research and collaboration. 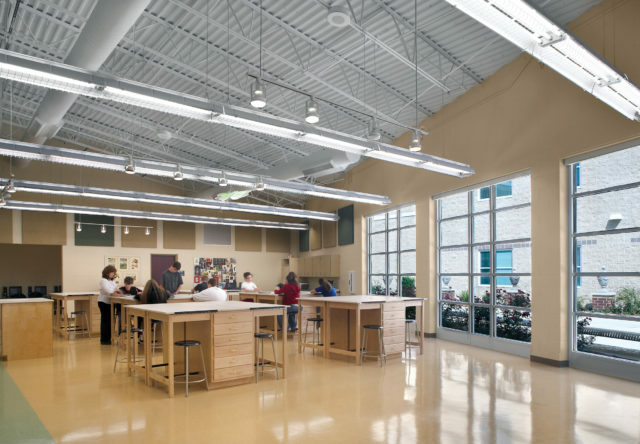 Flexible classrooms with natural daylighting support 21st century learning in a vibrant and dynamic environment. 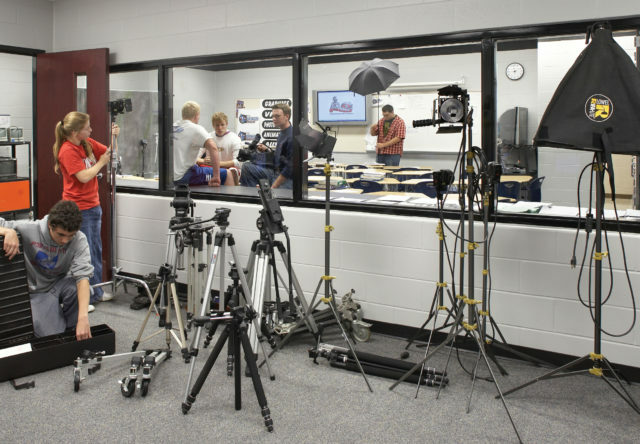 A high-tech video production suite teaches students future-ready skills. 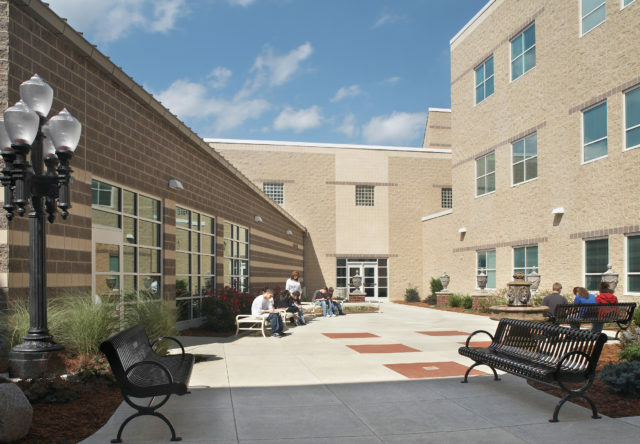 The arts lab features views into the courtyard where students explore the outdoors and learn about nature. 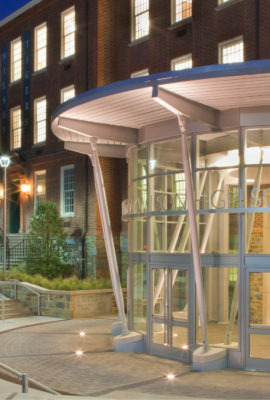 These buildings have absolutely everything. 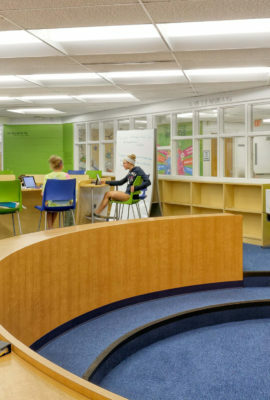 You can’t help but feel good walking into them.The environment is so much more conducive to learning.